The day I decided to close my private practice and move to another state was one of both excitement and remorse. I knew that I would be starting from scratch in building a practice in a new region, yet I did not have the time and energy to devote to the marketing and networking that are essential to building a practice. As I scrolled Facebook trying to avoid my grief and frustration, I repeatedly saw ads for online therapy platforms: iCouch, Talkspace, BetterHelp and so on. My interest was piqued. I had a desire to start working with clients again, but I wanted to exert minimal effort in obtaining them. So, I ultimately decided to attempt to supplement my practice by contracting with online counseling providers. In the 21st century, technology has become a regular and expected part of our daily lives. The convenience it affords can be overwhelming to consider. As a counselor educator and professor in a graduate training program, it is essential that I keep my finger on the pulse of the counseling world, and I believe that technology will continue to be integrated into our work as helping professionals. I have used technology in my private practice over the years for tasks such as managing client files, sending out reminder texts, recommending apps for mindfulness and other coping strategies, and assessing client satisfaction. Technology has become more integrated into the counseling profession over the past few years, and I cannot envision a future in which this trend does not continue. But even setting aside our society’s propensity toward all things technological, I decided that contracting with online counseling providers would be the most hassle-free way for me to build up my practice. Here is what I learned. 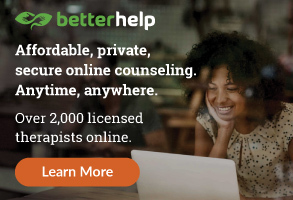 Several companies currently provide clients with access to counselors through online chatrooms, messaging forums, and video and phone sessions for a monthly subscription fee. Frequently, these companies will advertise a service that provides subscribers with unlimited access to a counselor for one low monthly charge. Intrigued by the direction this field is moving, I decided to contact three of the most well-known providers of this service. All of these companies followed up with me immediately, but each had a very different process and focus. One company simply wanted information from me so that I could be registered with its agency, whereas the other two companies provided a screening process and were interested in my competence with providing counseling, both in general and over the internet. I have no desire to make this my full-time practice, so I decided to focus on the company that provided the most rigorous professional assessment process. One particular piece of screening that I appreciated from the company I chose was the statement that my application would become inactive if I did not respond to homework assignments or provide the required information proving my status as a licensed counseling professional within one week. From my perspective, there was something reassuring and professional about the company taking this stance. Online counseling agencies frequently post job advertisements because they want prospective clients to have a wide variety of clinicians to choose from. This screening statement was one of the first hints I received that this online company valued the client and the integrity of the counseling profession and was not merely trying to add clinician names to its roster. Once I settled on going with the company that I felt was most knowledgeable and invested, I began following through on the requests put forth by its management. For example, I answered homework assignments to demonstrate my potential responses to clients. I defended my theoretical orientation and discussed flexibility in that orientation to allow for meeting client needs. I quickly responded to these inquiries and somewhat enjoyed the guided exploration of my values and skills in counseling. I shouldn’t have been surprised when the company contacted me with the final step of its process: an interview. However, the “interview,” which took place in the virtual space provided by the company, was not what I had been expecting based on my previous interactions. It consisted of a member of the administrative team asking to see my driver’s license, then describing to me how the company complies with the Health Insurance Portability and Accountability Act (HIPAA) and the ACA Code of Ethics, and avoids working with clients who have intense needs or are actively suicidal. He then proceeded to tell me that if a client were actively suicidal, the company would handle the transition of the client to a modality that would allow the client to access crisis services. The interviewer had no desire to hear about why I was interested in this modality of counseling, didn’t care about my experiences and, admittedly, was not a clinician himself. After he finished explaining the process of client selection and screening, he asked me to fix a few minor details on my online profile that clients would access and requested that I reupload the photo of my counseling license. Once the video interview ended and we were disconnected, I was reminded that I was joining a business as much as I was joining a service. Aside from the vetting process that this company requires, I was drawn to this company because it offers scholarships for clients who are struggling financially. As someone who is passionate about client care, I liked this focus on and care for those who are less privileged. So, I assuaged my concerns and continued on. After completing the minor changes and uploading my license for a second time, I received an email indicating that the company was giving my information a final look and would be in contact with me in the next 10 business days to confirm my contractual relationship. So, I was surprised when, three hours later, I received an email welcoming me to the company and asking me to pick a shirt that would later be shipped to me. The email also provided step-by-step directions for opening my profile online so that I could be assigned new clients. Excited to start this process, I followed the directions and moved my cursor to indicate that I was “open” for new clients. Within three minutes, I was assigned my first new client — an individual struggling with a divorce that was not his choice. I immediately responded to his message, and the messages for that day began to flow. Within 10 minutes of obtaining my first client, I was assigned my second. Within 30 minutes of the second, the third appeared. By the end of the day, I had nine new clients and was sufficiently overwhelmed with the relational requirements of connecting with each of these individuals. It would be difficult enough to establish therapeutic alliances with nine new clients as they sat directly across from me, but trying to remember details about and establish relationships with these online clients, including some who didn’t provide a name, proved almost too much for me to manage. These clients were able to use initials or pseudonyms instead of their real names, and only one of the nine clients had a picture associated with their profile. I consider myself to have an excellent memory, but I was struggling to connect issues to the names (or, sometimes, just a single initial) provided by the clients. Suffice it to say, my first day of contracting with this service was exhausting. Of course, I must acknowledge that I am someone who likes to take care of communication with others as soon as possible. As a professor, I have received several rounds of applause over the course of my career for being a faculty member who immediately answers student emails. I gain a sense of accomplishment from an empty inbox and like to keep myself organized. If I can respond to an inquiry quickly, that is one less task nagging me when I slip into bed. 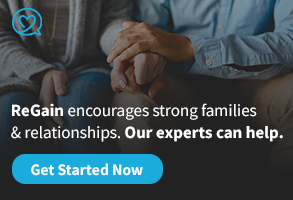 I was not prepared for how this personality trait would translate to online counseling. I was going to need to reassess my boundaries and become comfortable with leaving a message unanswered at the end of the day if I was going to survive providing online counseling. At the start of the second day, I considered quitting, but I weighed the pros and cons of continuing and found that my desire to learn this evolving form of counseling outweighed my desire to throw in the towel. This discernment led to a renewed commitment and a plan of action to create manageable expectations for myself and my clients. The first boundary I enacted for myself was switching off my “available to new clients” sign. After giving it much consideration, I determined that I could not successfully provide quality counseling services to more than five clients through the online service while also trying to get tenure and maintain my small in-person private practice (let alone raise my two young children). As soon as I switched off my availability, a wave of relief washed over me. Now I had the task of managing the nine clients I had already been assigned. Three of those clients have not sent me any messages, meaning they have not required my attention (they remain on my roster though, indicating that they are still paying the monthly subscription fee). So, my job boiled down to managing the six clients who were actively engaged. In attempting to find my footing, I inquired about the willingness of each client to meet for a video session. This was one of the smartest moves I could have made. I found that five of the six were excited and desired to meet through video. The other client had signed up for this service specifically to avoid the face-to-face contact. She remained content with message counseling. Meeting the five clients individually through the use of video sessions allowed me to connect information to a face rather than just to a name or an initial. In turn, this solidified my conceptualization and understanding of each client. Plus, it was far easier and more time efficient to collaborate via voice and video rather than the pingpong of written words. Once I met with my clients through video, I was more comfortable and relaxed in this new format. After limiting the number of clients I was willing to work with through this medium, I next needed to identify a schedule for checking and responding to messages. I looked at some of the online forums the company offered and read how their different providers were managing their schedules. I learned quickly that most of these providers had set hours and times that they would check messages and respond to clients. Some providers chose to check twice a day, whereas others indicated that they checked and responded every two to three days. This variability of schedules increases the need for any prospective provider to communicate upfront with their clients about what they can expect from the provider and the online service. 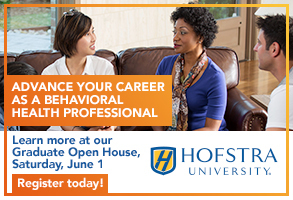 This approach allows clients to find an online counselor who is available to the degree that they want. It also helps to prevent against a provider not meeting client expectations. One of the hardest parts of learning this system for me has been receiving an email that a client has shared a message and not being immediately drawn to check and respond to that message. I was made aware from the outset that this is not a crisis service and that clients know that each counselor has his or her own method of responding to clients. Honoring this and not having unrealistic expectations of your ability to communicate with clients is imperative to being successful with these companies. Six months after sending my first message to my first client, I am very thankful that I joined the site I selected. I have been able to engage with clients again and have made a fair amount of money working at my own pace and time. I would recommend this avenue for counselors looking to take on new clients and who have the freedom and flexibility to work with these contracting companies. Although the pay is poor and the process new, the experience has been more than I had hoped for. 1) Research and read reviews of the companies you are considering joining. There is a wide range of understanding and dedication to the field of counseling among these online services. Finding one that aligns with your view of the counseling profession is essential to successful practice. 2) Know your limits. Before accepting new clients, decide how much time you would like to devote to this type of counseling and have a manageable schedule and plan for responding to messages. 3) Find new ways to develop relationships. It was helpful for me to use the video sessions as a bridge in learning this new modality while holding on to a form of counseling that is comfortable for me. 4) Figure out how you will relay your commitment to the site to your clients so they will have realistic expectations of how available and responsive you will be. 5) Use the support systems found in many of these companies. Often, these companies will provide forums and discussion boards so that providers can connect and consult with one another. Embrace this new online professional community that you are joining and allow yourself to learn from others who have been providing these services for a while. 6) Be realistic about how much you will receive in reimbursement from these companies. The company I joined paid $10 for every 1,000 words communicated by me or my client (video and phone sessions are counted as 50 words per minute). It is also imperative that you identify the company’s monthly maximum reimbursement per client. The company I joined stop reimbursing after 12,000 words a month. If you are not mindful of these limits, you will be providing a lot of support and counseling without receiving any reimbursement. 7) Don’t forget that counseling is counseling, whether it is happening live or through some form of technology. Although the essential skills of counseling are still relevant in this form of counseling, they need to be modified and conceptualized slightly differently to be successful with this modality. For example, I learned to withhold confrontations until the clients demonstrated a willingness to be challenged. Because the therapeutic relationship can be more difficult to monitor through messaging, it is imperative that you learn how to check your clients’ readiness to be challenged. In this form of counseling, it is very easy for your clients to click a button and find a new counselor. This can be great for clients, but it can leave many counselors with unanswered questions about what happened and where their clients went. Melanie Person is an assistant professor in the Department of Counselor Education at Gonzaga University. She is a licensed clinical professional counselor and a licensed mental health counselor. Contact her at person@gonzaga.edu. Helpful article, but I’m confused about the reimbursement. Are you saying that the maximum the company pays is $60/client/month ?? Hi Robyn! Actually, they recently increased the maximum reimbursement amount and I can now make $150/ month per client (it was previously $120). It is a little confusing in looking at reimbursement rates, but basically each counselor is capped at 7500 words for client and 7500 words for counselors, video sessions are counted as 50 words/minute. I hope this helps! $120/ month maximum? that means they will pay you for about % hrs of work per month. i cannot see how that is worth it at all. Yep. Now it is inceased to $150/month maximum per client. That said, at this point I tend to have one, hour session each week with each client. Basically, I consider my hourly reimbursement for virtual face-to-face contact to $37/hour. You are right, not good at all. But there is no overhead and it is more convenient than I thought it would be. You mentioned getting paid 120 (now 150) per month per client based on words communicated, but what about the three clients who were unresponsive? Do you get any reimbursement for their subscription fee? Or even responsive clients subscription fee? Thanks for the article! Can you say what company you felt was the best one? Janice, I’m doubtful the ACA will allow an author to publicly endorse (or speak against) any particular company (at least as far as calling them “the best” or “worst”, etc.) as it puts them in a precarious position legally, liability, and marketing-wise. I’m definitely interested if I’m incorrect, however! Hi Janice. I am uncomfortable sharing on this site the name of the company as my objective is not to promote them. However, if you want to send me a private email I would be happy to share that information with you! I would like to know which company had the vetting process that you preferred. It does seem that it was the most vigorous that I have heard of among those that exist. Understandably, it may not be something that you can share here in the comments, but if there is a way to find this out without “reinventing the wheel”, I would appreciate it. I’ve been interested in trying this for quite some time. Hi Amanda. If you want to send me a private email, I would be happy to share more information with you. I cannot include my email in this comment box for some reason but you can find it at the end of the article. It has been many years since I was trained by a company out of California in this form of therapy. Just about the time I became dedicated to entering the virtual environment it was decided that working in this environment with clients outside of your state of license was unethical and could cost you your license. How has this changed with ACA? Melanie, thank you so much for sharing your experience. It, in many ways, underlines some of the concerns/issues I’ve covered in TechTutor articles. 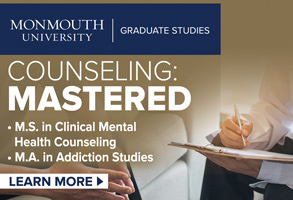 The further danger of working for such unreasonable rates is that it sends the general message that the counseling profession is willing to do so. We’re already besieged on all sides with pressure to work for less (private insurance, etc. ), I hope everyone will give consideration to how working for so little affects the perception of the profession as a whole. My impression of several (not all) of these companies is that they are driven by shareholders and a desire to “strike while the iron is hot”, making money off of an obviously growing market (telehealth), while ethics and professionalism ride along in the back seat. IMO, rewarding that isn’t helpful for the profession either. Yes Rob, I completely agree! I am doing quite a bit of qualitative research in this area and believe that there are many opportunities for counselors to use their own platforms through record management systems. This allows us to charge our well-deserved rate. One of the problems is insurance companies not fully being aware potentials. 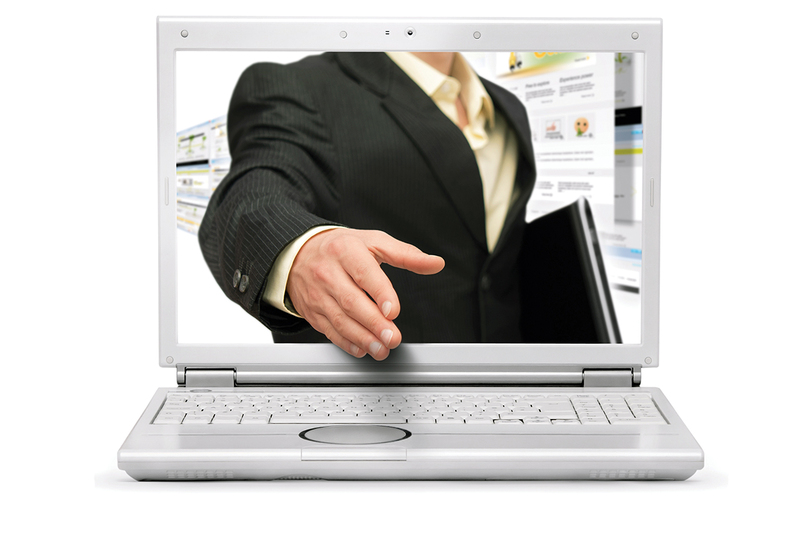 I work with a few virtual counseling companies and I vetted them carefully and they also fully vetted me. It is easy to determine which companies are the top ones to work with. Major insurance companies are subscribing to the best. I am concerned that the author only addresses ‘messaging’ platforms. I will not work with and do not advocate for working with a company, nor provide services to, a messaging only platform. I encourage readers of this article to be skeptical of messaging platforms and instead consider the ones that provide video or phone services. I have been following this medium since its infancy and there is much available if someone wants to learn. I am a Distance Credentialed Counselor through CCE and a CEAP (Certified Employee Assistance Professional) and both of these credentials require that I am skilled in this emerging area. Please, author, thoroughly educate yourself and post again. I am speaking of platforms that offer both video and telephone sessions. I agree that messaging only would not work for best client outcomes. I am doing research in this area and am finding a lot of interesting information regarding ethical considerations as well as practice concerns. I would be happy to discuss this research with you further if you would like. 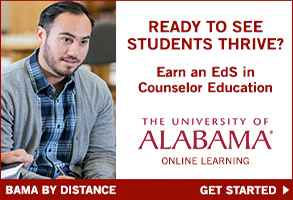 I appreciate your credentialing as many counselors I have interviewed are not credentialed in distance counseling. I would love to hear your experience if you are interested in sharing.